97% of Americans support universal background checks. Moms are not "clutching their pearls" over gun violence. 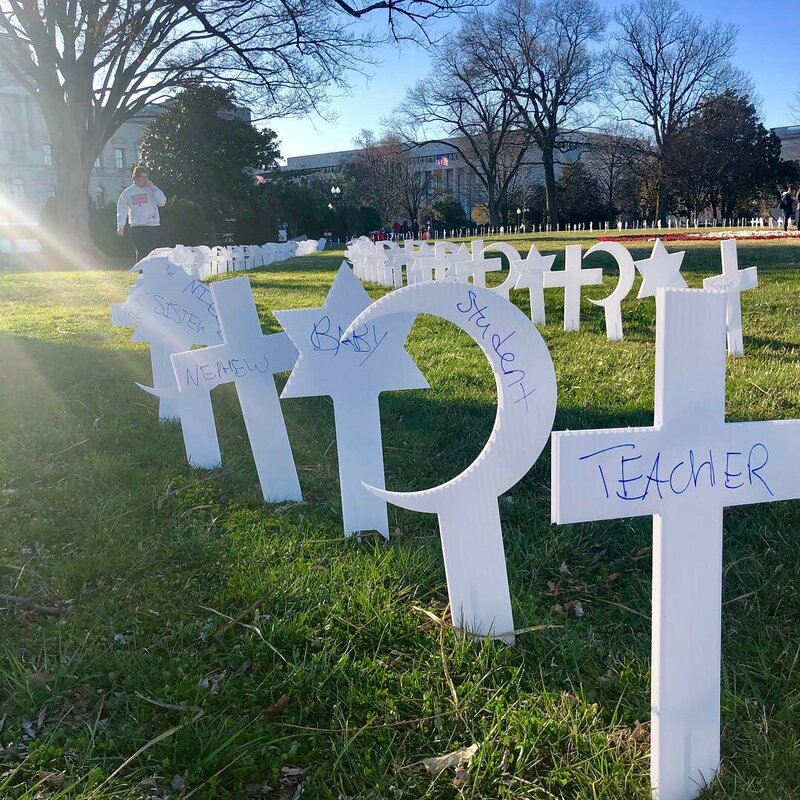 They are BURYING their children over gun violence. These are preventable deaths save for your selfishness & greed, #NHPolitics. The above posts are total BS; The pearls are a prop used by a woman's pro-gun-rights group. They have used them before. 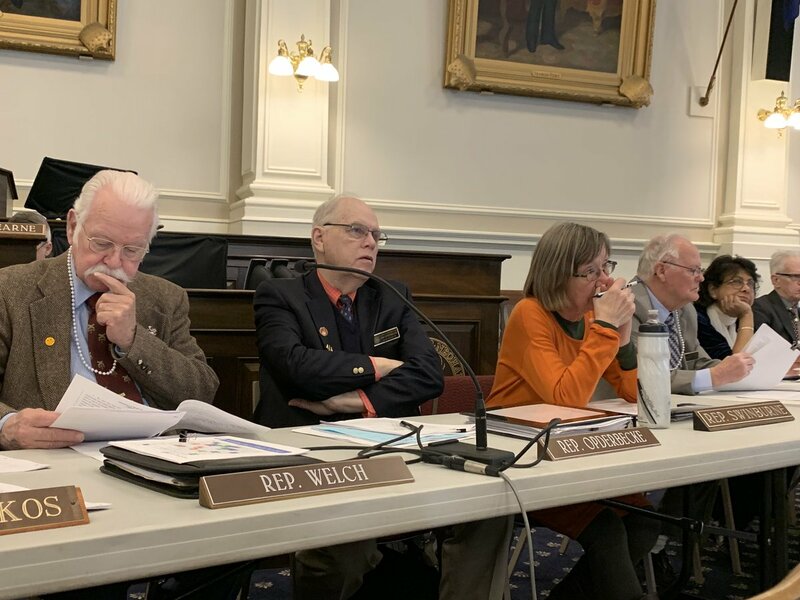 Therefore they were NOT used by these male NH lawmakers to mock the woman's gun-control group MomsDemands or this moron Watts. They were used to show support for women being able to purchase and own guns for self-protection. "These men are supporting women and supporting women who support actual women's rights. They are the farthest thing from sexist and there was a women (sic) lawmaker wearing them, too," Morin told CNN Wednesday. But Watts' opinion that the pearl necklaces were meant to mock gun control advocates went unchanged. "These lawmakers decided to wear symbols that essentially mocked the process," she told the Union Leader. "They showed they were not coming to this hearing with an open mind, and they were making light of survivors who were testifying on the suicide of a child, or women who were survivors of domestic abuse." 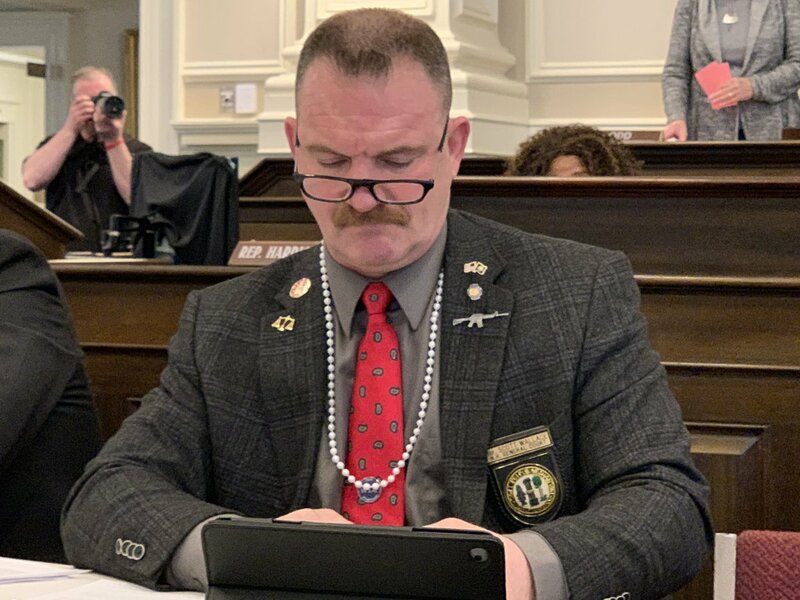 The lawmakers wore the pearls during a meeting of the Criminal Justice and Public Safety Committee, which was discussing proposed "red flag" legislation. The gun control measure would allow a judge to restrict access to firearms by people who are considered a threat to themselves or the public. Family members and law enforcement would be able to petition the court to issue such an order. May not even be real pearls. The @NRA says we haven’t been invaded because other nations are afraid of our armed citizens. I’m sure it has nothing to do with our military, or the Atlantic and Pacific oceans. American's own 40% of the guns in the world. Roughly 393 million owned by 326 million. Too many to have one's day made. Nothing's worst for an enemy when a country it invades wages a war of attrition. 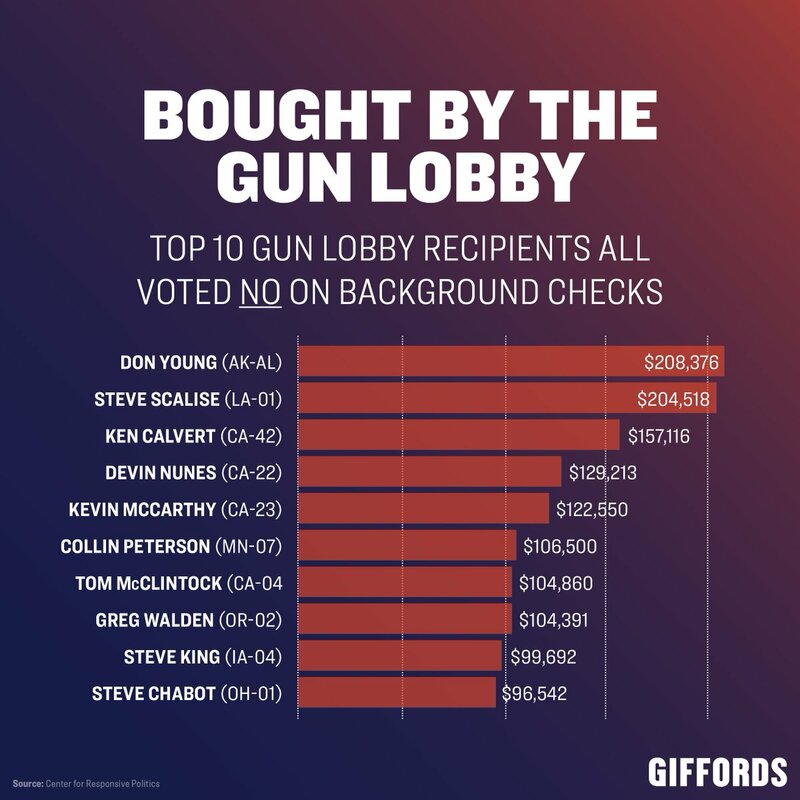 he didn’t believe Congress envisioned complete immunity for gun-makers. The suspected gunman had a gun license acquired in November of 2017 and five firearms, the prime minister said. Semi Automatic weapons will be banned in New Zealand. One day. This ban took one day. Look to this, America. Good move. We enacted similar laws in Australia after the Port Arthur massacre. I don't believe we had a mass shooting since. It's easier to do this in New Zealand since they don't have the same Constitutional Amendments like we do. So what happens if this occurs again with only a handgun....do a total ban like the UK then be concerned with knife control? It's a shame the people of New Zealand has to pay a gun control price because the shooter is not a New Zealand'er but an OUTSIDER from Australia. 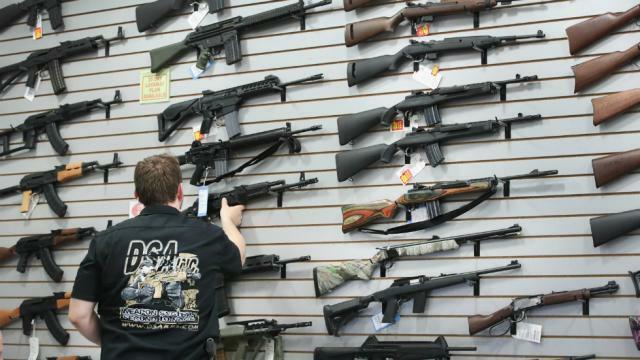 .........The exceptions to the ban would include semiautomatic .22-caliber firearms as well as semiautomatic shotguns with magazines holding a maximum of five rounds. Ardern said those guns are commonly used for hunting and pest control. Safe storage is being handled at a state level. Bump stop ban suppose to go into effect in a few days. "...deflecting public concern by smearing supporters of gun control. & enlist the services of friendly reporters. 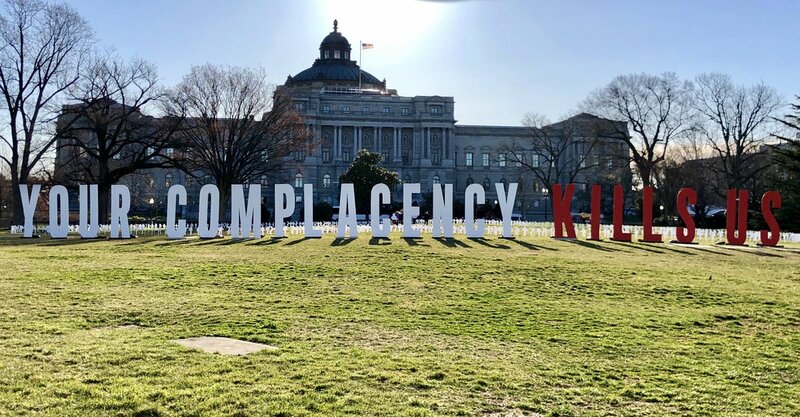 Powerful scene at the US Capitol. 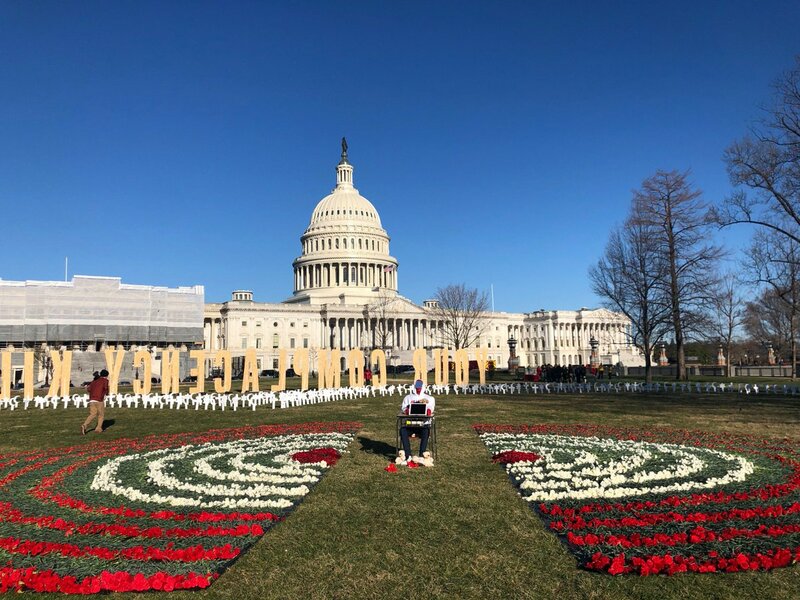 Today @AMarch4OurLives is honoring the 40,000 people killed by gun violence every year with an art activation on Congress’s doorstep. -Don't see "bear high-capacity arms'?? claiming: "The problem of mass shootings is very small."